Hi! I’m Cheryl and happy to meet you! I am a Mom of 3 grown children and Grandmother to 8, aged 2 to a freshman in high school. 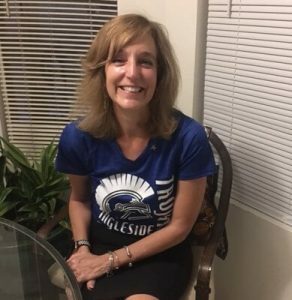 While my own children are grown, and off raising their own, I am an education counselor to all the children at Ingleside Middle School. This is my day job which is always fun and exciting. On weekends, summer months and holiday breaks, I care for furry children. As an avid dog and cat lover, I truly enjoy their company. Animals have a special way of communicating and rarely “talk back”; unless it’s to say something pawsitive….a soft purr or excited bark is always embraced with mutual love and devotion. I look forward to communicating with your animals and welcome their company with open arms.